I arrived at the John Innes Centre on 28 September 2017, excited but apprehensive. I still could not quite believe I was starting a PhD, having just finished a long summer break, after recently graduating with a degree in Plant Science. 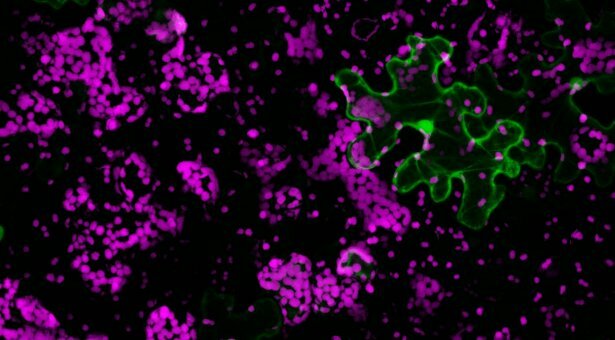 I was eager to return to scientific study, to be challenged once more and to gain the chance to have an extended time to try more in-depth research on the topic of plant defence, which fascinates me. My first day wasn’t quite how I imagined it.  Instead of being thrown into the lab and planning experiments, I drank coffee, got a free lunch and was introduced to all the services the Norwich Research Park had to offer. The main thing I took home from my first day was how friendly, willing to help and answer questions everybody was. This proved useful when I first entered the lab to start my experiments and realised I didn’t know where to begin. The other thing I took home from those first weeks was a pile of reading, as the extensive but necessary laboratory health and safety training took its toll. The reading did however, include an exciting recent publication from my new lab, which topped up my enthusiasm for what was to come. Aside from the inductions and reading, there were social events where I got the many PhD students at the John Innes Centre, as everyone came for more food and wine. Shortly after inductions the much anticipated ASM (annual science meeting – another acronym I had to learn) began. The ASM was a good introduction to a lot of the exciting plant and microbial research taking place across the John Innes Centre and the free lunches were back. A particular highlight for me was the opportunity to hear my fellow lab member, Post-Doctoral Scientist Cecilia Cheval talking about role of plasmodesmata (tubes linking plant cells) in plant defence. I enjoyed the camaraderie of our lab all coming together in supporting Cecilia by wearing t-shirts with our lab’s #FaulknerFalcons logo. I was really excited to enter the lab and start my experiments. Progress was slow at first, but as I started to learn where things were and became more adept at the techniques the pace has picked up. Along with this increased speed, came the realisation of the realities of working in research science. 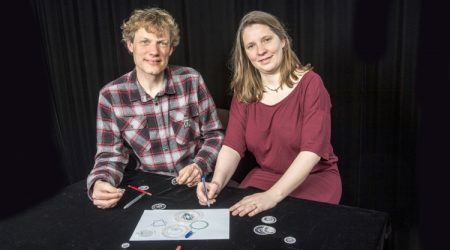 Creativity is required daily as carefully laid weekly plans need to be quickly adapted as you wait for bacteria to grow, stocks to be made and coffee to be brewed. I’m now 3 months in and so far, PhD life has been exciting, despite the inevitable setbacks which are an everyday part of research. The setbacks make the successes even more rewarding. My most satisfying moment so far was getting some pretty microscopy images, which highlighted localisations of proteins (shown in green above). Some localisations were surprising, which has led to my PhD heading down new avenues. Along with my own research, it has been great to be part of the John Innes Centre community and to hear others present their research at the weekly Friday Seminars. It has also been great to have breaks with friends over coffee and cake, play squash and relax at the Rec Centre bar. Although starting a PhD has often felt slow and challenging, it has also been great fun to be part of the Faulkner Falcons team discovering new science together. Now settled into the routine of lab work, I will continue with my initial experiments and I look forward to seeing what new discoveries are made to direct the more targeted and in-depth experiments that will follow. 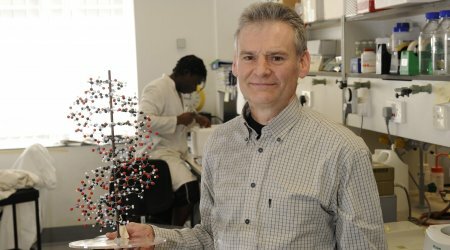 Researchers at the John Innes Centre recently announced a pioneering new technique which, if their hopes come to pass, will assist not only biologists but any scientist in the world looking to quantify shape. 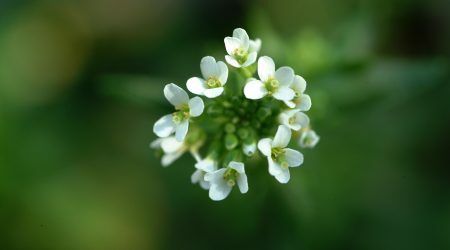 Arabidopsis’ story continues (catch up on part 1 and part 2) and the weed now forms the foundation of thousands of studies around the world, including at the John Innes Centre.